No that's not the picture HRHOlya. I didn't even know that one. It was when she was with Hugh Grant and it was a friend of his, I think, and she hadn't on a matching dress and knickers. Then she claimed she didn't know the dress was like that! she must think we're all stupid. Or as we say in Scotland, you've got sawdust for brains. ^ Ah ok! Thank you! ^^ Bridesmaid dress is different and doesn't go with the rules of appropriate wedding gear as guest, because the bridesmaid dress is chosen by the bride. At K's wedding Pippa wore an emerald green dress in the evening, that was her personal choice, the bridesmaid dress was K's choice. 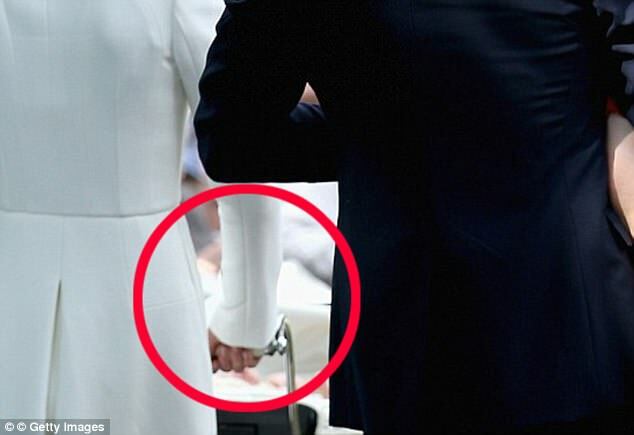 Kate was not wearing white or cream at the wedding. She wore very pale yellow which appeared extremely light in certain lighting conditions. 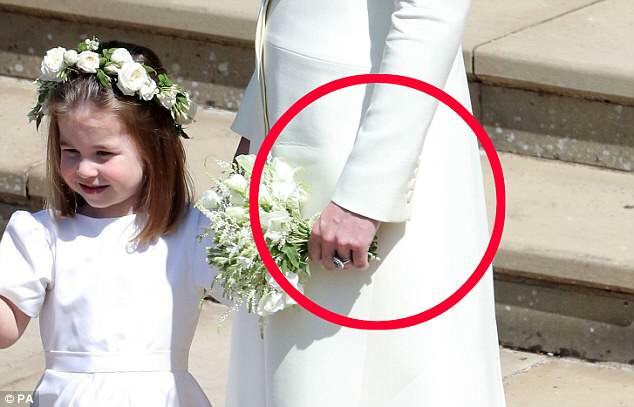 My thoughts also about Katekins wore an old outfit recycled for the fourth time to show her feelings about Meghan. She should be careful. Maybe she and William are having difficulties and it's nothing to do with Meghan. Only for the time being Marion. That might have been the picture actually. I couldn't find anything else, so it may well have been that one. Sorry for the delay in posting. I didn't want to double post. It was a society wedding and the groom was a friend of Liz Hurley. But after she showed up and "stole the bride's day," so to speak, she became persona non grata. I don't know why Darius Guppy came to mind, but I think the groom might have been involved in some 'shady' stuff. (Not illegal though). But since it's so long ago, I'm not positive if I'm mixing up grooms from different weddings. But it was all in the tabloids, so will do a search. Just did a search so I'm modifying my post MODs before I'm timed out. Thanks. No, you were right all along. It was that photo. At the time, I thought she was desperate for publicity and I still do. ^ Yeah she still is desperate for publicity, otherwise she wouldn't have her son take pics of her half naked all the time She appears quite classy on the surface, but in fact she's klassy when you look deeper. ^ What?!!? That's gross! Who does this?!!? Btw Kate looked miles better at M's wedding than Pip's. Hope she burns the outfit she wore at Pip's..
Did she have it altered? But then that's too little, doesn't make sense. Also doesn't make sense to have a 2nd coat made near identical to the 1st. And why didn't she choose another colour? She can't possibly delude herself into thinking "oh I have sth new!" when sth near same is already in her wardrobe?? I mean we all know she buys samey stuff, but this is now beyond ridiculous and quite unreasonable. But also better than the fugly prints she is so fond of. ^The tailoring on the back of the coat is different also. Besides, Kate is known for buying similar outfits. Hilarious - she was lauded as being 'frugal' when the reality is that she had an almost identical custom coat made that was almost white!! I am always so floored at how she can possibly be considered even remotely frugal. FFS nearly the EXACT same dress in an ever-so-slightly yellower shade. At a wedding. Kate is probably the least frugal and most non-sensical person in that bloody family. ^ She actually is indeed the least frugal. No one works less than her and no one spends as much money on her wardrobe as her (ok maybe Camz). The "frugal" shtick was I think KP spin to make her look attractive to the public (always those "the Cambs are normal & like us!" bs articles) and by now I think it's the press being snarky. I think every time they write they're "like us" or "normal" or "frugal" or any other way virtuous, the press is dripping with sarcasm. Kate playing normal is joke like the fake job Will had created for him where he did not have to keep a regular schedule. And Kate has to "be with the children" and can't work even for a few hours a week and she has nannies for the children.